Welcome to the Chideock Parish Council website. Chideock Parish consists of Chideock village together with the hamlet of Seatown and the part of North Chideock to the west of the River Winniford. The Parish is in the Dorset Area of Outstanding Natural Beauty and is mainly rural in character. 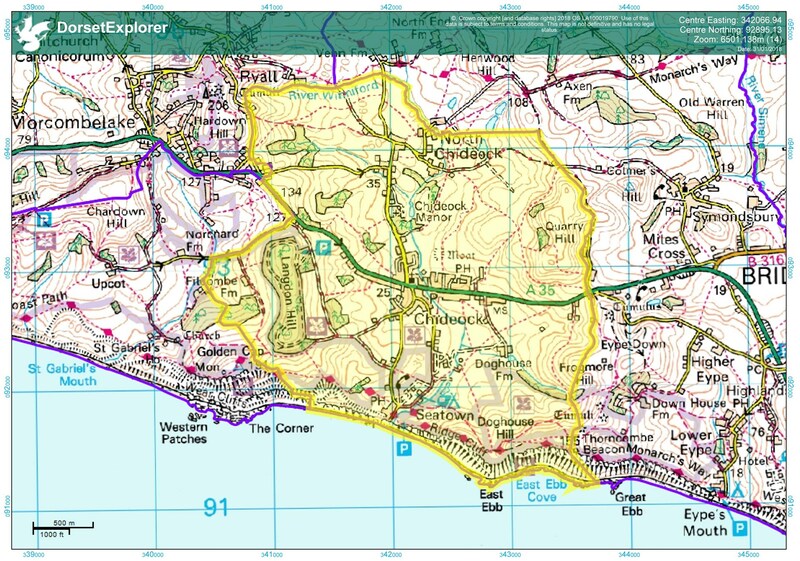 The National Trust owns much of the coastline, including Langdon Hill and Golden Cap (which is in the adjoining parish of Stanton St Gabriel). The busy A35 trunk road bisects Chideock village from east to west. The southern part of the Parish area is designated as Dorset Heritage Coast and includes a section of the Jurassic Coast, England's first natural World Heritage Site. The Parish Council meets on a monthly basis (but not August or December).